As President of Branch Financial Services, Inc., Harlan has participated in the growth of one of Long Island's most respected financial services organizations, located in Smithtown since 1974. 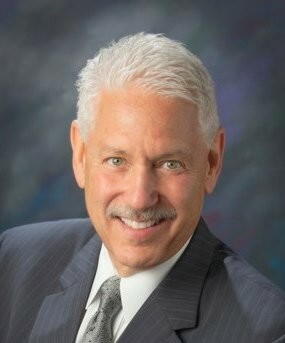 A graduate of Northeastern University, Harlan has received his Chartered Life Underwriter (CLU) and Chartered Financial Consultant (ChFC) professional designations from the American College in 1983. He also holds the Registered Financial Consultant (RFC) and the Certified Retirement Counselor (CRC) designations. He is a Registered Representative and Investment Advisor Representative of Cetera Advisor Networks. Harlan has taught courses on investments and insurance, and has lectured nationally on these subjects as well as financial strategies and estate planning. He's been quoted in insurance and financial industry publications. He is a member of the Practitioner Division of The Financial Planning Association and was the 1990–1991 President of the Suffolk County Chapter of the American Society of Financial Service Professionals. Harlan and his wife Olivia have lived in the Town of Smithtown since 1973. He was the President of the Board of Directors of the Smithtown Township Arts Council from 1992-1997 and was the 1997–1998 President of the Smithtown Rotary Club. Harlan served as Vice President of the Board of Trustees of the Suffolk County Vanderbilt Museum and Planetarium through 2000. Also, in the year 2000, Harlan was named Man of the Year in Business in Smithtown by the Times Beacon Record newspapers. In April, 2006, Harlan was presented with the "Guardian Angel" award from the Little Shelter Animal Rescue and Adoption Center. Harlan is the President Emeritus of the 200 member Metropolitan Contemporary Glass Group, and was the President of the Art Alliance for Contemporary Glass (www.contempglass.org) for five years ending in November, 2016. He is now on the executive board as the Immediate Past President. On January 1st, 2018, Harlan became President of the board of the Art League of Long Island (www.artleagueli.org). Harlan also serves as the Chairman of the Planning Board of the Village of Head of the Harbor, NY. In August, 2018, Cetera Advisor Networks LLC presented Harlan with its "Quality of Life Award" - a special honor bestowed on an individual who has demonstrated a pattern of leadership in the areas of community service, charitable giving and most of all, has created a lasting impact on the world around them. *Branch Financial Services, Inc. and Cetera Advisors Network are unaffiliated entities.